If you are looking for the absolute lowest rate on your car insurance, you need to make sure you maximize the best discounts available. All car insurance companies offer a variety of discounts, but the actual percentage of each discount may vary between insurance carriers. You could spend a considerable amount of time shopping for different insurance companies, asking about their available discounts, and the discount percentages they'll give you for each discount type. Or, you can shortcut the process by looking at insurance discounts. 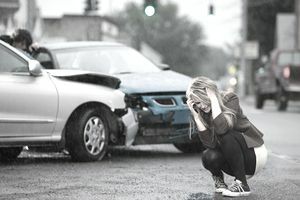 These are among the best car insurance discounts because they can cut your total policy premiums down anywhere from 10 percent to 45 percent, depending on the insurer and the discount type. Multi-Policy Discount: This is probably the single biggest discount available on a car insurance policy. Typically called bundling, car and home insurance packaged together is exactly the type of business many insurance carriers are looking for and they will work hard to get it. Some offer a discount as high as 20 percent. It is rare for someone to obtain cheaper insurance by separating their car and home insurance through different carriers. If you own a home, always try to find an insurance carrier that packages your car and home policies together. Multi-Car Discount: This one is also a major player in car insurance discounts. Your overall rate is typically higher when you own two vehicles verse one, but per vehicle, you are paying a cheaper rate compared to insuring the vehicles individually. For example, if you own two vehicles and are paying $400 for one and $400 for the other, your rate could go up to $490 on one if you sell the other. Financial Stability Discount: This discount is finding its way onto more and more car insurance policies. The difference between a top credit score and a poor credit score can mean a difference of hundreds of dollars each year. Insurance companies have done extensive studies which prove a direct correlation between low insurance credit scores and high claim activity. Therefore, insurance companies reward good insurance credit scores with a financial stability discount in hopes of low claim activity. You can get an experience letter from former insurance policies to help. Good Driver Discount: You can usually oly get this if you are a driver who have not had an accident or ticket in the past three to five years. A couple of reasons exist for why this discount is so sizeable. It is almost a combination discount because someone with a speeding ticket not only doesn't qualify for the good driver discount, but they are also surcharged for the ticket. Also, the good driver discount is usually applied per driver. So every driver in the household could potentially receive this discount, greatly helping to reduce the overall expense of car insurance. Good Student Discount: As its name portrays, only applies to students getting good grades. Usually, a 3.0-grade point average or better is accepted. Also, the normal requirement for college students is 12 credit hours or more to qualify. Young drivers often pay higher rates and insurance companies reward good students with a discount. The theory stands that if a student spends a lot of time home studying, then less time is spent getting into trouble behind the steering wheel. Homeowner Discount: Getting this one on a car insurance policy may be surprising to some. Insurance carriers often offer this discount to clients who own a home regardless if the home is insured with the same company. Insurance companies reward homeowners because they often have more stability than a renter. A homeowner can double dip with this discount by combining it with the multi-policy discount; thereby, receiving two top discounts in one swoop. If you don't qualify for all of the above discounts, there are still plenty of other options available. Each insurance carrier has its own take on the premium discount they offer for each of the following options, so it pays to ask each carrier which of their discounts will lower your policy cost the most. Review your car insurance policy to verify qualifying discounts are listed. Keep in mind that women often get lower rates, and keep your credit score and driving record in check for the best rates. Can Your Home Save You Money on Car Insurance? Are You Missing Out On the Biggest Insurance Discount? Is There a Good Student Discount for Car Insurance?